Should Politicians Wear Funky Socks? Since winning the election in 2015, Canadian Prime Minister Justin Trudeau has created an international buzz like few of his fellow world leaders—either current or in the past. He seems to possess a youthful energy few politicians have, which he expresses with upbeat campaign ads, taking selfies with supporters, and being affectionate with his wife in public. He also demonstrates his non-traditional attitude in more subtle ways; namely by the socks he wears. Even in official capacity, Trudeau enjoys shunning conventional hosiery for conspicuous socks. At a 2015 meeting of Canada’s provincial heads of government his colorful socks bore the patriotic maple leaf symbol. During a NATO meeting in Brussels, the Prime Minister wore one blue sock and one pink, each with the NATO flag emblazoned on the side. On several occasions he has worn socks adorned with Star Wars characters. Despite the growing popularity of fashionable, brightly colored socks in business and culture, they have not become a staple of politics. Only a handful of examples can be found, notably the pink socks that former President George H.W. Bush wore to the dedication of his son’s presidential library in 2013. More recently, Republican Senator Tim Scott of South Carolina was photographed in pink socks with blue polka dots while meeting with President Donald Trump in the Oval Office. While the trend hasn’t fully caught on in politics, maybe it’s time. One of the important skills of any politician is the ability to communicate. Much of a person’s communication is nonverbal, including clothing. Like with other accessories, colors can communicate certain attributes. Red denotes passion. Blue symbolizes trustworthiness. Green is the color of dedication and commitment, while purple communicates a desire for prestige. For men, wearing pink socks shows bravery and individuality for sporting a color traditionally aligned with femininity. The brighter the color, the happier you appear and/or the more risk you are willing to take in life. Custom dress socks with distinct patterns also say a lot about the person wearing them. 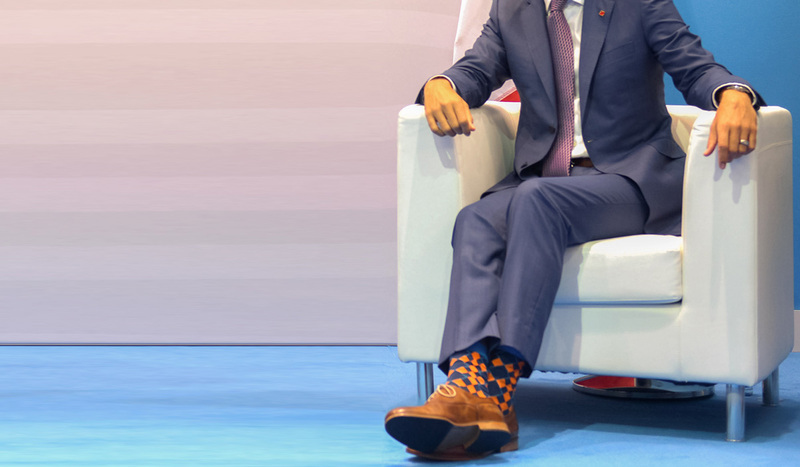 What leaders like Trudeau can communicate with stylish socks is a sense of individuality. This is an important aspect of politics nowadays as an impatient electorate looks for representatives who will break out from the status quo. At the same time, socks are subtle enough that they don’t distract from a politician’s overriding message. It’s not the same as wearing a loud suit, so it’s difficult to think of socks as upsetting traditionalists. Colorful, uniquely designed socks can also be the beginning of better engaging young voters. Not that attire will take the place of supporting issues that millennial voters care about, but this generation does seem to value uniqueness and individuality.